One Word Substitution is an Important topic especially for SSC CGL, SSC CPO and SSC CHSL Exam. 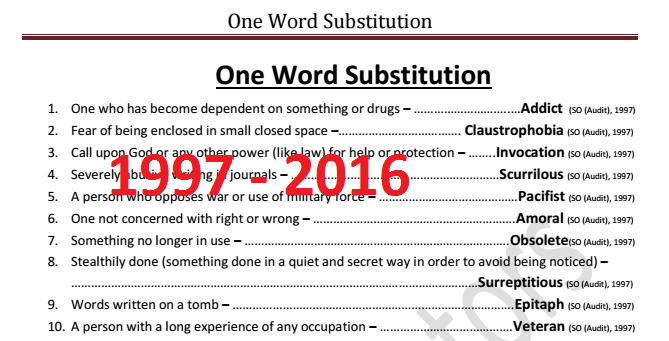 Through this post, We are sharing the PDF of One Word Substitution Asked in SSC Exams from the year 1997 to 2016. This Pdf file has been compiled by Online Mentors. So, Full credit goes to them. You can download this PDF by clicking on below given download link.